Not your normal bus map! 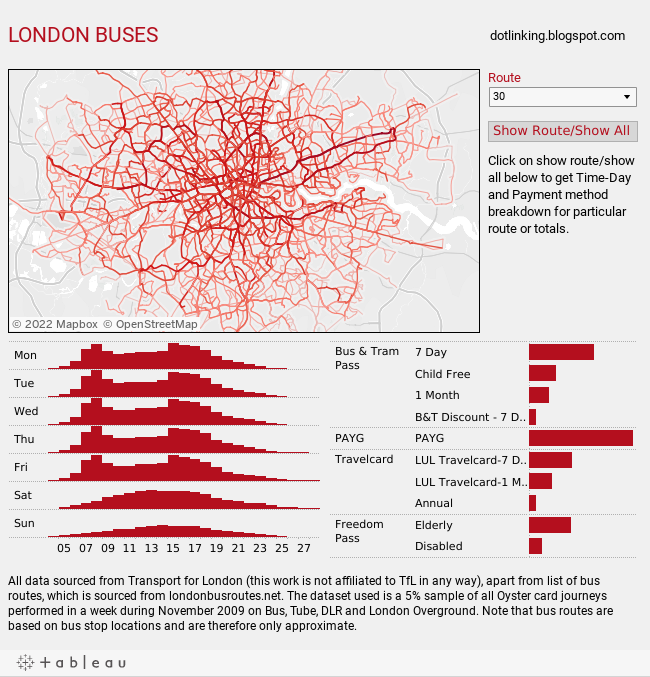 Mark Bulling pulled together over 1.5 million individual bus rides from Transport for London to create the viz. We think you will agree, the result is both interesting and beautiful. To view stats on a particular route, use the drop down at the top right. You will also need to click "Show Route"-then you can see the route on the map and the detailed fare and usage stats at the bottom.